Mr. Darcy has already sunk his hooks into my daughter. Thanks to the influence of my friend’s older daughter, my daughter is enamoured with Pride and Prejudice. I couldn’t be happier because I am a huge fan of Jane Austen myself. My own favourite Austen novel is Northanger Abbey which she has yet to read. 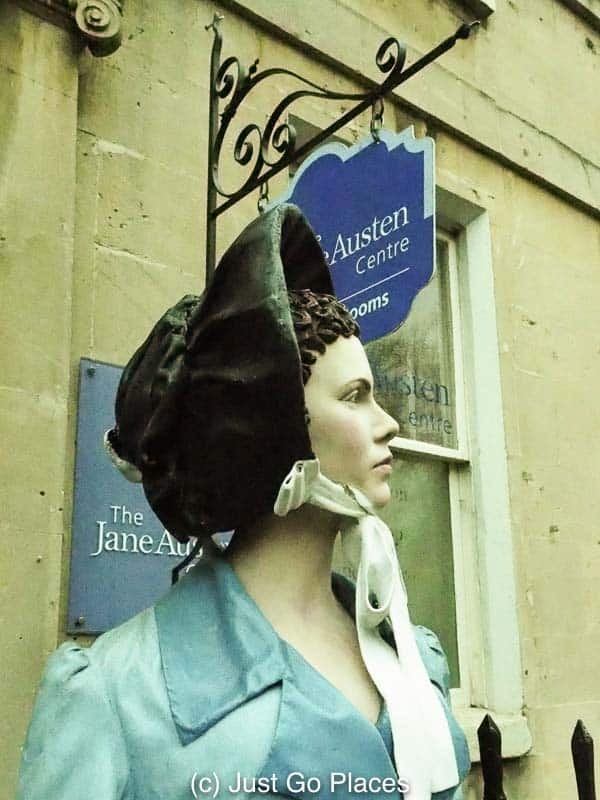 We recently did a mother-daughter road trip to Bath to check out some of the related Jane Austen sites. I wanted her to understand the novel a bit better because the Georgian age is so different from today. 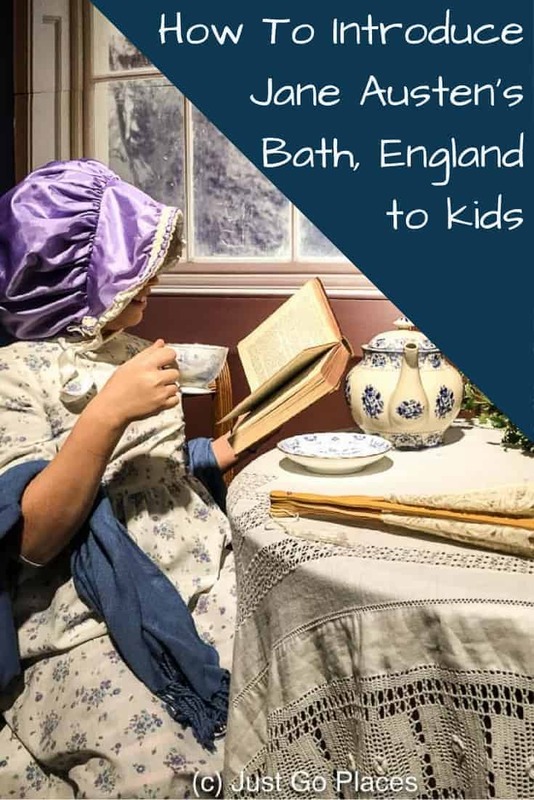 I found that visiting Jane Austen’s Bath with kids is relatively easy because the city is both small and delightful. Jane Austen’s writing was heavily influenced by her stay in Bath England. 3.2 Join our growing community of readers! Having visited the Jane Austen Centre we understood more how Jane’s circumstances influenced her novels. On her first visit to Bath, Jane and her sister lived in a posh rental flat with her parents. When her father died in 1805 though, the loss of his income drastically changed their circumstances. Jane and her mother and sister moved between increasingly shabbier rental flats until her brother came to their rescue. Having been adopted at an early age by a wealthy relative, he had the financial independence to let them stay rent-free in a house he owned in Chawton, England. 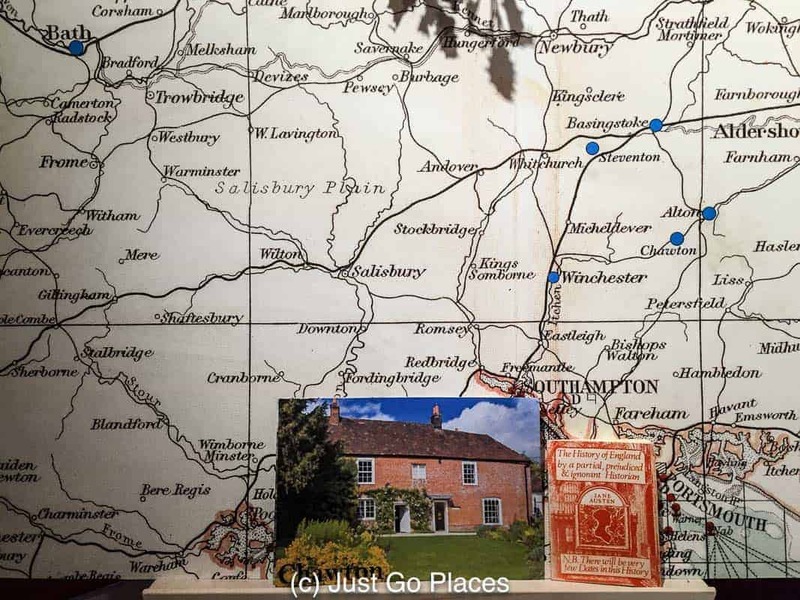 You can see the distance from Bath to Chawton on this map along with a postcard of the cottage at Chawton. You can see how these 9 years – 5 years of being moderately well-off and then 4 years as a poor relative – would affect her analysis of a woman’s place in society. 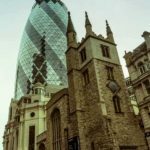 In Georgian England, a woman was dependent upon some man to take care of her. Jane was one of eight children. Her brothers were all able to take care of themselves through various options such as inheritance or the military. With only a limited inheritance, she and her sister were in a bit of tough spot. They were not allowed to earn any money themselves but the lack of inheritance would put off many suitors. Although Jane was engaged very briefly to a wealthy suitor, she called off her engagement. She really couldn’t bring herself to marry someone just for financial security. 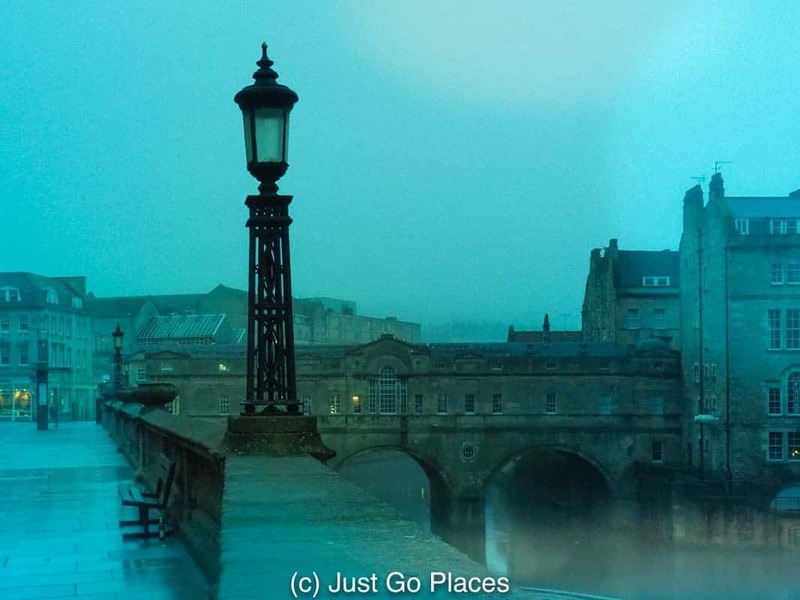 Only two of Jane Austen’s novels are set in Bath – Northanger Abbey and Persuasion. In Northanger Abbey, the main character is enamoured of Bath very much like Jane herself in her early years in Bath. In Persuasion, however, her character reflects Jane’s later attitude where she finds herself a bit tired of the scene. 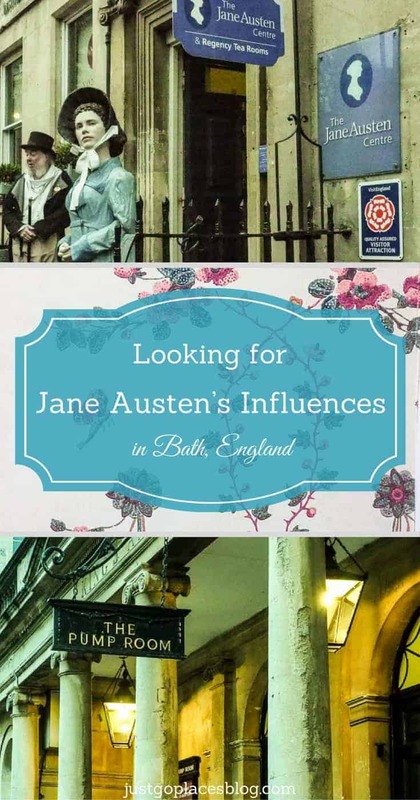 Her other novels though are influenced by Jane’s experiences in Bath. The Jane Austen Visitor Center is a small townhouse near one of Jane’s mother’s favourite squares, Queens Square. A ticket will gain you entry into a small guided museum. Alternatively, you can go straight upstairs to the Regency-inspired tea room for refreshments. The entrance to the Jane Austen visitor centre has a statue of Jane at the front. We enjoyed our tour immensely. While you are waiting for the guide, there is a video about Jane Austen. In an adjoining room, my daughter did a word search on Jane Austen and her books. 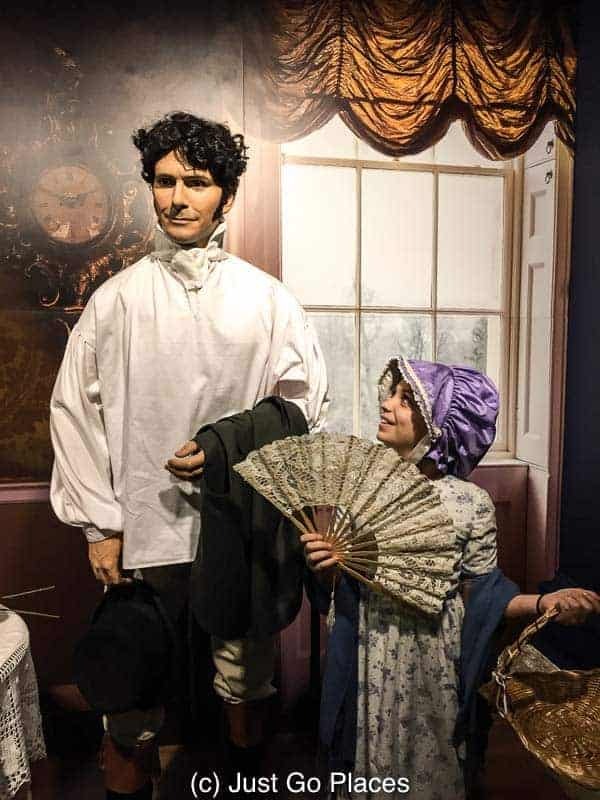 The tour guide gives you a short introduction to Jane Austen’s life and family. Then she leads you downstairs to see some memorabilia associated with Austen. There is a short 10 minute film in this area as well. The highlight of our experience was the dressing up area. 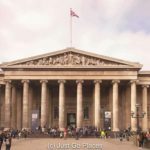 My daughter got to wear some regency clothes, learn how to use a fan to flirt like the Georgians, and have pretend tea. The dressing up cupboard of Regency clothes we raided. My daughter attempting to flirt with a Mr. Darcy. The elegant Palladian architecture of Bath today would be recognisable to Jane Austen. We could easily imagine ourselves in Georgian times. The city of Bath is fairly compact and easy to walk around. 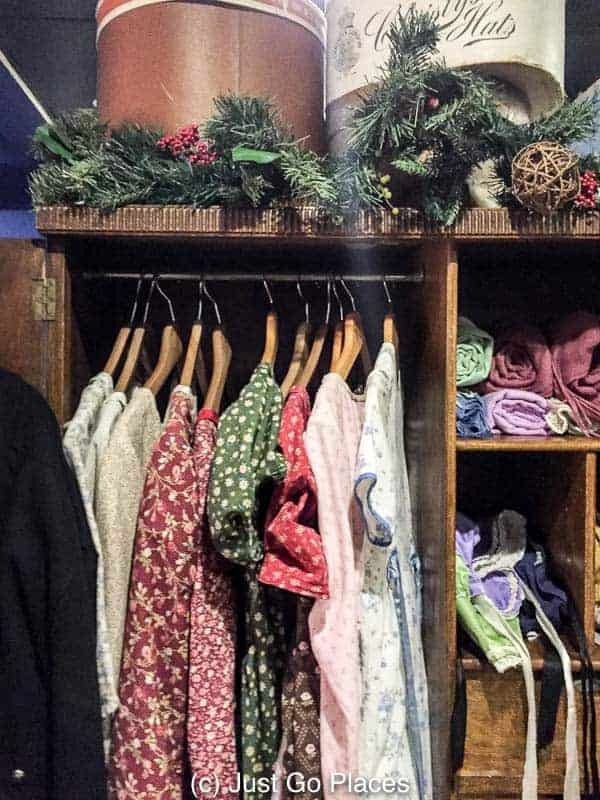 A walking tour of Jane Austen’s Bath with kids is a painless ask (assuming your kid is interested in the topic). 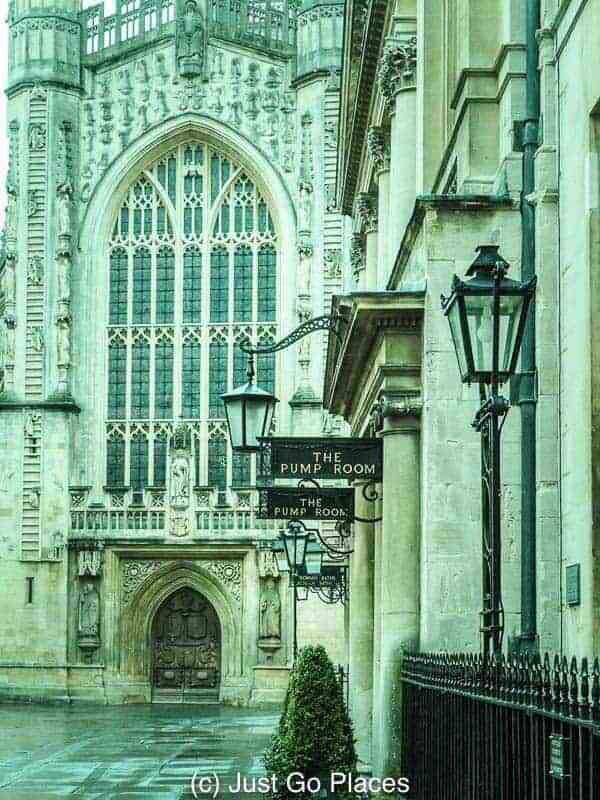 The famous Pump Room in Bath with the Cathedral in the background. 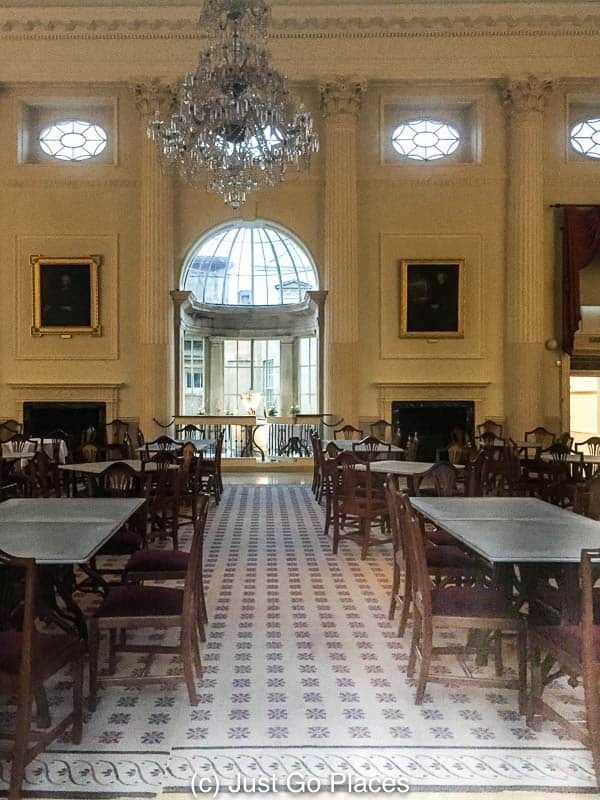 The inside of the famous Pump Room is now a tea room. 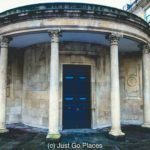 The city of Bath has a free audio tour of Jane Austen’s Bath that we did. 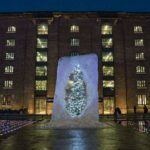 You get a PDF map as well as a audio download which tells you the major attractions of the city interspersed with extracts from her writings. 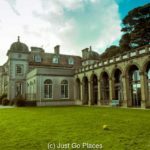 We followed the tour (which takes you right past the Jane Austen Centre) and we may have even done a bit of shopping along the way. Having published only 3 works before she died in 1817, her family published her remaining 3 works posthumously. The royalties for her works were given to her beloved sister. The reasons for Jane’s death are unclear. Jane Austen is today considered one of England’s greatest writers. In 2017, the Bank of England issued new £10 notes featuring Jane Austen, the first woman on British currency that wasn’t the monarch. Jane Austen’s works have been adapted for younger readers from toddlers to young kids. For example for babies, there is Pride and Prejudice andSense and Sensibility both by Jennifer Adams. 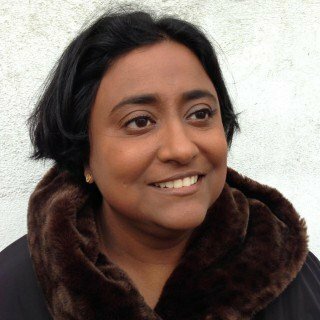 For younger readers, there are the Real Reads series of all 6 Austen books including Emma retold by Gill Tavene (pictured below). 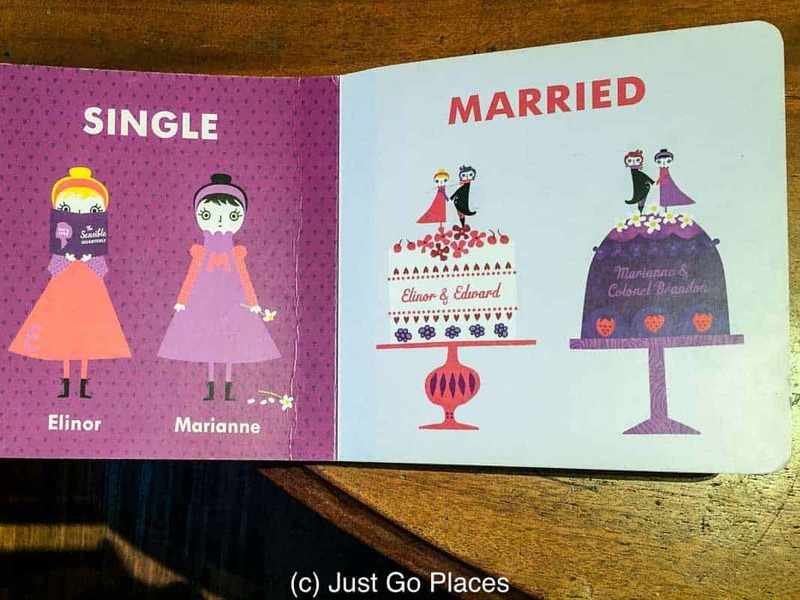 I’m not sure I want to introduce my kids this early to the concept of singledom and marriage. Other writers have adapted Jane Austen’s books not only for film and television but also set them in different places. It’s a testament to these novels that they can be completely changed but the story still works. For example, Emma by Alexander McCall Smith (the author of the acclaimed No. 1 Ladies Detective Agency series set in Botswana) has the heroine in a contemporary setting returning home to set up her own business after graduating from university. Other variations on Austen books include Northanger Abbey by Val McDermid, Sense and Sensibility by Joanna Trollope, Death Comes To Pemberley by P.D. 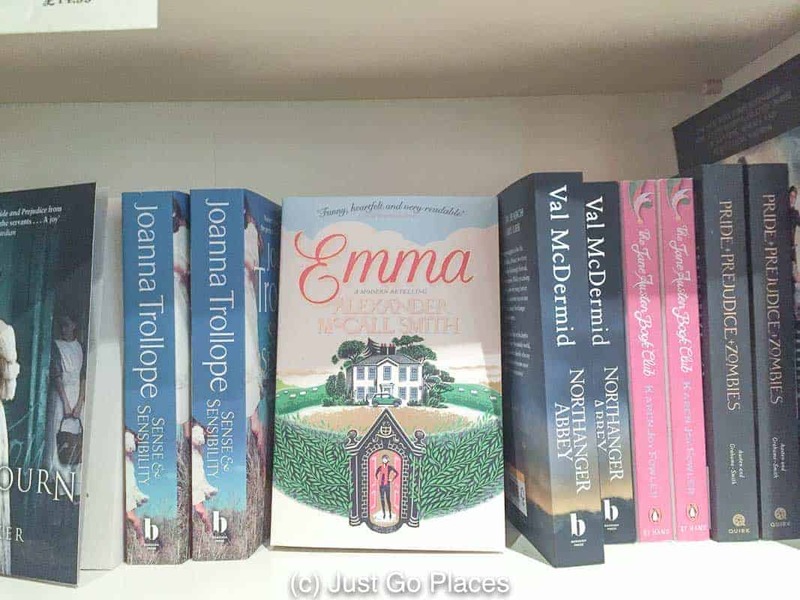 James, Longbourn by Jo Baker and Mr. Darcy’s Diary by Amanda Grange..
A selection of the novels by contemporary authors inspired by Jane Austen. 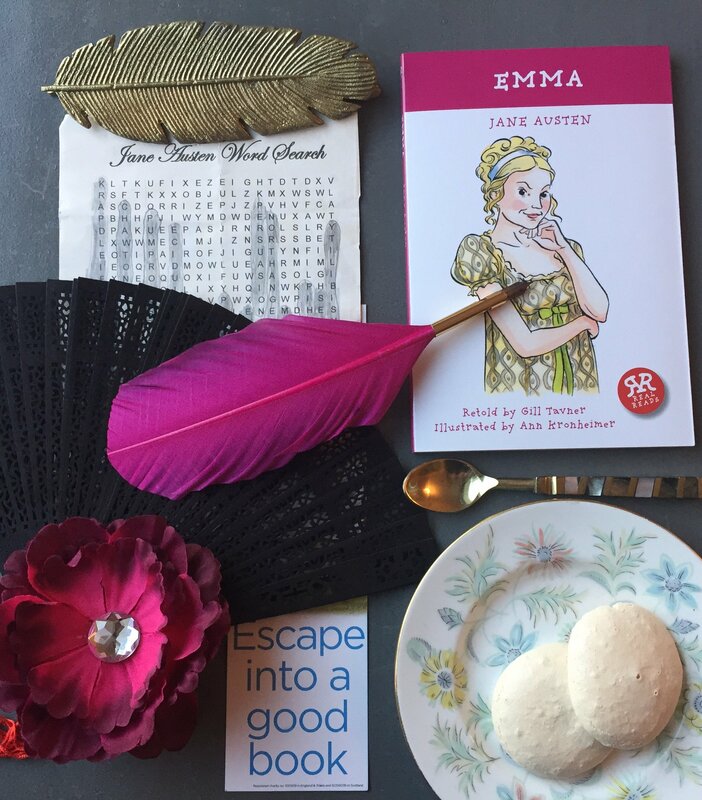 Every September if you are in Bath, the city holds a 10 day Jane Austen in Bath festival. My daughter and I are already making plans to return for the festival! We stayed at 15 Great Pulteney street, a luxury boutique hotel on Great Pulteney Street which is a grand street leading of the Pulteney Bridge. The convenient location made our visit around Jane Austen’s Bath very easy. My daughter was delighted with our bedroom with its beautiful trompe l’eoil canopy bed. Jane Austen’s former home on Sydney Place is now luxury apartment accommodation. Available through Bath Boutique Stays, Jane Austen’s Home and Apartments are 4 apartments that can sleep between 2-4 people. 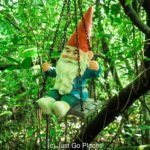 This article contains affiliate links for which our disclosure policy is available. It’s a beautiful city and I love that is compact. 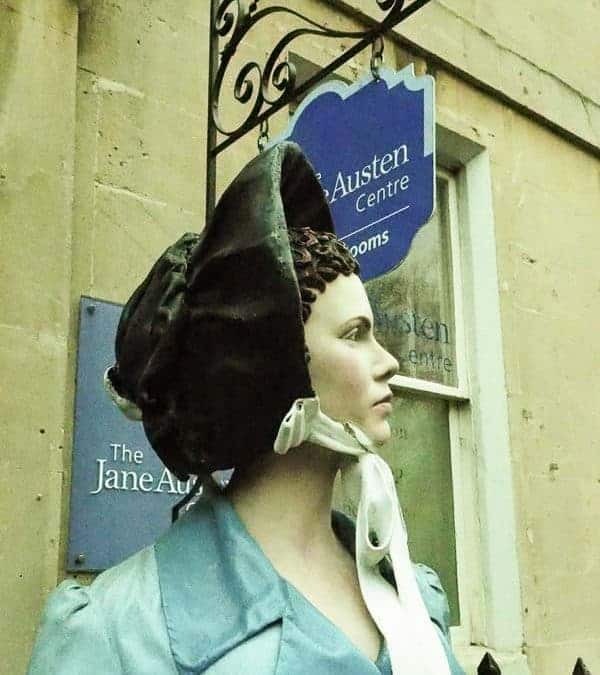 Jane Austen is a big part of Bath’s tourist appeal. I keep meaning to go over to Bath, the crescent is a great place to relax on a summers afternoon. I agree. Bath is beautiful to wander around.